Few things are more satisfying for garden-lovers than watching plants flourish and flowers bloom in the late spring and summer sunshine. After painstakingly fighting off frost and keeping the soil rich, we can finally sit back and enjoy the plants’ vibrant colours, sweet smells and the wildlife they attract to our gardens. To get the most satisfaction, you will no doubt want to plant the most popular, beautiful plants which thrive in the UK. However, our pets also appreciate the attractive shapes, colours and scents of plants; yet, when cats and dogs discover something enticing, they sometimes like to eat it to see if it tastes as good as it looks. For this reason, gardeners who are also pet owners need to consider carefully which plants they choose to grow. Unfortunately, the majority of UK plants are highly toxic to consume. While we know to stay away, cats and dogs do not. So, for the best chance of keeping your pets safe, avoid keeping the following common UK plants in your home or garden. Hyacinths, tulips, daffodils, lilies and monkshood are all popular plants among UK gardeners because they thrive in our temperate climate and bloom in time to decorate our gardens when we use them most. Sadly, the flowers, bulbs, leaves and, in the case of aconitum plants, the roots, are all highly toxic to cats and dogs. Only a few bites can bring about symptoms of poisoning, which, according to pet experts James Wellbeloved, include vomiting, loss of appetite, diarrhoea, tremors, fever and heart palpitations. In extreme cases, your pet might show blood in their vomit or stool, and death can even be instantaneous, especially if they eat some of the more poisonous plants, like oleander or autumn crocus. Amaryllis, larkspur, foxglove and chrysanthemum are all popular decorative outdoor plants which are relatively harmless if consumed in small amounts. 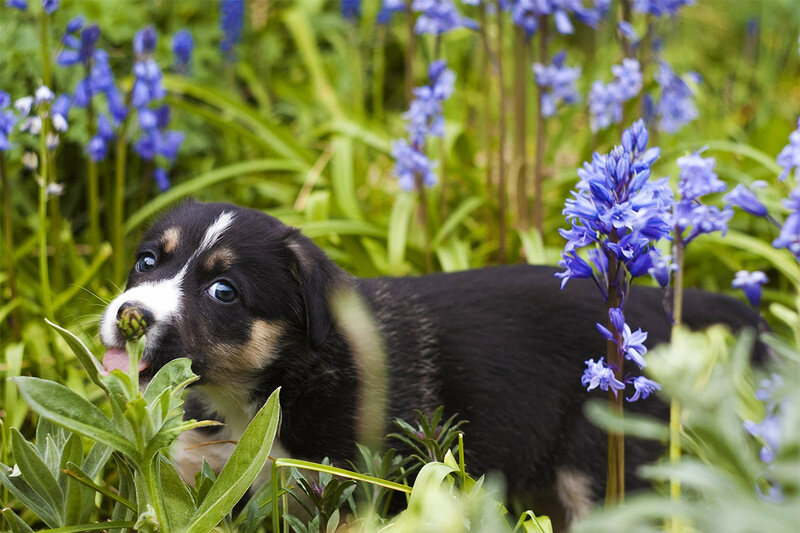 However, pets that have a particular taste for these plants will likely experience symptoms over time. After all, hydrangea naturally contains cyanide, so overconsumption can be fatal. Indoor houseplants are also a risk to pets; arguably more so, especially for indoor cats or pets who are sometimes left at home unattended. Cyclamen and caladium are commonly kept inside as well as outside. The former is less of a threat unless you have a pet that likes to dig up and eat the root. However, caladium’s attractive leaves are hard for some pets to resist, and eating them will irritate the mouth and throat. Some plants are known for their healing and soothing properties, including jade and aloe vera. Sadly, these, too, are toxic to cats and dogs and frequently cause vomiting, a raised or lowered heart rate and incoordination. Not all pets eat everything that smells nice or looks attractive. But some plants are highly poisonous and symptoms can be sudden and serious if your pet gets curious. Fortunately, there is a wide range of ornamental and practical plants you can choose to decorate your home and garden which are not toxic, removing the worry if your pets get curious.